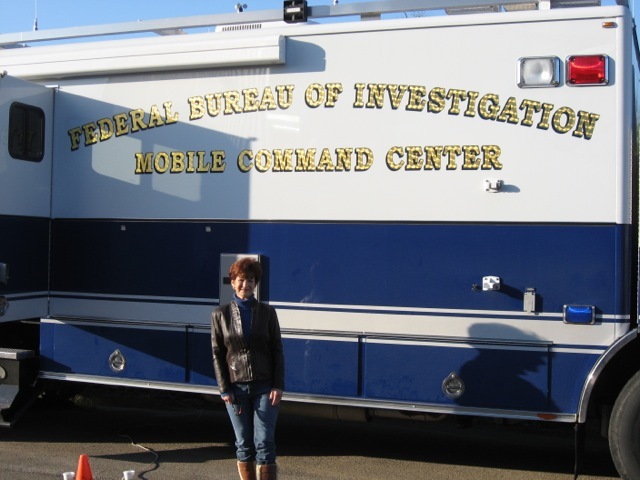 DIANN MILLS - FBI FIREARMS DAY! 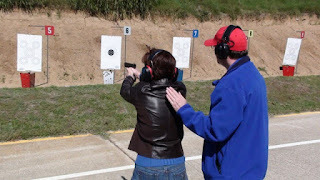 As part of the FBI Houston Citizens Academy, I spent four hours at the shooting range for Firearms Day. This wasn’t a restricted area so we could bring our cell phones, laptops, cameras, and a guest for a series of events. I chose my husband. I was sooooo excited. The morning of the event brimmed cool and crisp, fueling my enthusiasm. Coffee was brewed when we arrived, warming my insides and dripping adrenaline to my already hyper body. I posed for hubby in front of this daunting hummer, then I stepped inside to take a look. I closed my eyes and that’s when the first story idea dumped into my brain. 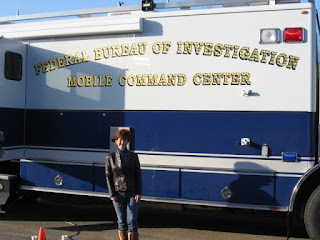 A tour of FBI Mobile Command Center reminded me of a movie scene. All the buttons and gadgets and screens reminded me of Christmas lights. Wow ... modern technology showed me the bad guys don’t have a chance when the FBI is on the move. We wore ear muffs during a live SWAT demonstration. The team didn’t look like anyone I’d want to tackle! In a powerful countdown, a team blew up a mock house (training facility) and apprehended the bad guys. We watched it all on a huge screen. Once the smoke cleared, and it was thick, we toured the area. The SWAT teams’ helpfulness and explanations of the how and why of their procedures added more story ideas. The shooting range was next. I trembledlike a “little girl,” I’d never fired a weapon before and everyone in my group would see how inept this suspense writer. I drew in a deep breath and realized I’d now be able to write authentically about firearms. The weapons are heavy but the instructors were fabulous. My personal instructor seemed to know the challenges of a small person like me. But I did it and didn’t embarrass myself too badly. Husband, however, showed me up big time ... I’m finally over it. One of the most exciting events of the day was FBI simulation training. Yep, exactly like recruits in training. A wall-sized screen showed a crime in progress. Each one of us were given an opportunity to assume the role of an agent and respond accordingly with our weapons. That event was my favorite, especially when my response and shooting skills brought me out of humiliation mode from the shooting range. And the experience for future novels fueled my determination. I already had tremendous respect and admiration for the FBI and others committed to law enforcement, and the experience at Firearm’s Day reinforced the danger. 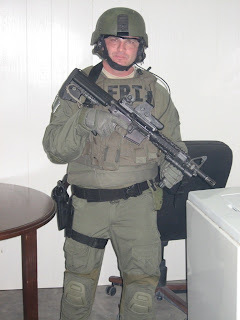 If had a life do-over, I’d definitely be an FBI Special Agent! What about you? What profession excites you? I want to hear your dreams - and goals. Leave a comment and you’ll be entered in a drawing for a personalized copy of The Survivor! Good characters are central to any novel. Characters can actually launch a career! Think about Janet Evanovich’s character, Stephanie Plum. And what about one of the most popular characters of all time, Sherlock Holmes? Arthur Conan Doyle grew tired of his “consulting detective” and actually tried to kill him off. Readers would have none of it, and Conan Doyle was forced to bring him back. Your characters should always include one very important element. YOU! It’s almost impossible to create believable characters without understanding them. Draw on your own life. Past hurts, past triumphs, inner passions – they’re all great fodder for characters. Writers can use instances from their own experiences to craft characters readers will empathize with. Don’t be afraid of searching your psyche. The more you invest personally in your fictional characters, the more believable and compelling they will become. Let’s say you’re writing a scene where your lead character is being chased by a killer. Since we all know what fear feels like, it’s not hard to imagine the emotions your character is experiencing. Perhaps you’re drawing on your own life. Maybe when you were a kid, a bully from your school told you he was going to wait for you after class and beat you senseless. When the last bell rang, you took off for home like your hair was on fire, fear spurring you on. You can use this experience and these emotions to give your lead character a realistic reaction to her situation. But…what does the bully feel? If you’re writing a murder mystery, translate this question into: How does your killer feel? Villains who are one sided don’t work! You need to ask yourself why they’re doing what they’re doing. What is it they really want? How do they justify their actions in their own minds? It’s important for you, as the creator of your lead character’s nemesis, to understand him as well as your protagonist. Besides getting into the head of all of your characters, you must also take the role of a reader. Your readers have no idea that you were frightened by a bully when you were a kid. Nor are they able to understand why you created your characters the way you did unless you explain their motivations. Readers’ overriding concern is your story. It’s our job as writers to make our characters’ intentions and reasoning clear. We also need to be careful that as we draw on our own experiences and emotions to create believable characters, we don’t also inject our own prejudices and tastes in a way that distances our readers. For example, if I don’t like cats (and I do), maybe giving my lead character an aversion to cats isn’t a good idea. It might sound interesting, but what about all the cat lovers out there? Are you willing to alienate them? Probably not. (You might wake up one morning to find your yard covered with kitty litter!) You don’t want to create characters readers won’t care about, or even worse, will actually dislike. Yes, you can put unpleasant characters in your story (I do it all the time) but give them a reason to be unlikable, and make sure your lead character also finds him objectionable. This will put your readers on your protagonist’s side, not against him. Some of your characters may be based on other people you know. This is fine but remember that you shouldn’t turn them into caricatures. This means you must take the time to understand them. Maybe crazy Uncle Joe is crazy for a reason. Was he normal until Aunt Marge left him? Or until he lost his business? Maybe your cousin Bubba started collecting junk because of childhood trauma. To create compelling characters, you’ll have to dig around inside their souls. This takes some time, and rightly so. Getting to know real people takes an investment. Your fictional characters deserve some of your time as well. In some cases, your characters might be patterned after other fictional characters. In my Road to Kingdom series, I created Ebbie Miller based on the personality type of the tenth doctor in the Doctor Who series. Ebbie loved peace and could become completely entranced by things that were only interesting to him. He is described as having hair that didn't seem to know where it was supposed to go, and with deep brown eyes that had depths yet to be completely explored. 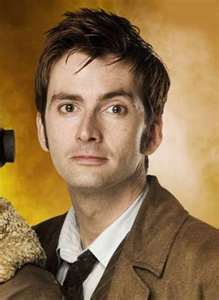 If you've ever watched Doctor Who, you will see him in Ebbie Miller. I didn't draw on all of the tenth doctor's personality traits since Ebbie was completely opposed to violence of any kind and Doctor Who was prone to go off the deep end from time to time. And that's okay. Just because you use certain traits from a character, it doesn't mean you have to make them exactly the same. In fact, I would encourage you to add your own twists and turns. This will give you someone who isn't simply a carbon copy of someone else. Creating compelling characters will give your readers a reason to invest themselves in your story. Plot may be key, but without good characters, it won’t matter! If you’d like to win one of my books, just tell me the name of the lead character and the title of the book you want. I’ll pick a winner on Wednesday. Jillian Kent’s first novel in The Ravensmoore Chronicles, Secrets of the Heart, debuted in 2011 and held readers captive winning four stars from Romantic Times and first place in the 2012 Wisconsin RWA Write Touch Contest. Also, in 2012, Chameleon, the second book in the series found its way into readers hands and hearts with an, “I dare you to solve the ending,” challenge from the author. 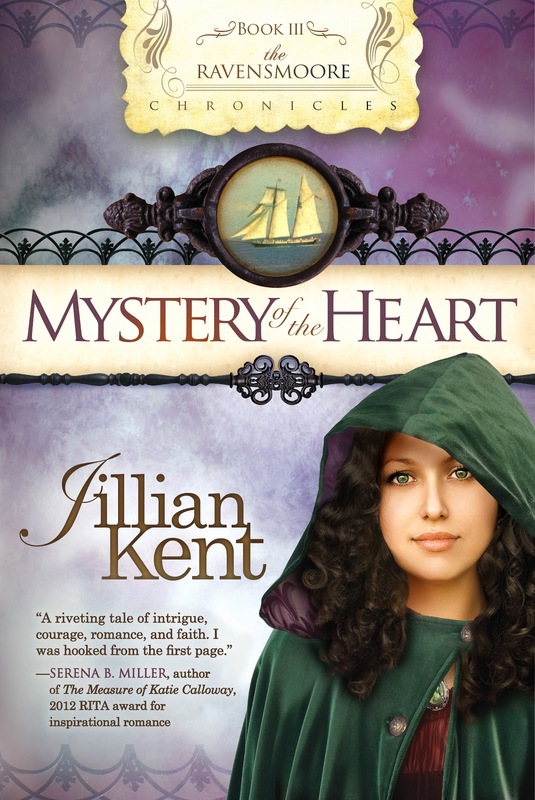 Mystery of the Heart, book three in the series is already grabbing the attention of readers who love a romantic adventure. Jillian lives in Cincinnati, OH with her family and assorted critters. I’ve been studying and practicing the craft of writing since 1989. I unwisely chose to start this endeavor soon after the birth of my first child. It must have been some kind of hormonal imbalance. J However, I have to admit that I wrote for my high school newspaper and went to college to be a journalist but that didn’t last long. I feel like I write full time along with my day job. I’ve been a social worker for 33 years and have been counseling nursing students in a hospital based college for the past 18 years. I can honestly say I love both my jobs. That would have to be when I signed my first contract in 2010. That experience was both exhilarating and terrifying. I then knew I had to follow through with this long time dream or look like a fool. S.S: Who has been your greatest supporter as an author? My husband, who is also a social worker has been an incredible support and encouraging me to pursue my passion. He’s always been a wonderful guy. I’ve always loved movies and books that keep me on the edge of my seat. I’ve always wanted to know how someone would extract themselves from a seemingly impossible situation. Love movies like, The Fugitive, Frequency, the Hitchcock films. Books like Rebecca, Jane Eyre, and other mysteries too. I believe I’m a mystery/suspense writer at heart, but I love a romance too so I blend it all together. I like to see how characters respond in varying situations to their faith. Sometimes I delve into that a little deeper and sometimes not so much. My faith is very important to me and I think a lot about it more than talk a lot about it so in that way my characters ponder their faith issues at times. I would continue working the day job and I would increase my reading for fun. I read a lot related to researching my books, which diminishes the time I have to read for the pure joy of reading. If you mean what else would I do for a living I would probably go into private practice with my husband, after we retire from our current day jobs, and work toward helping other couples have strong marriages. We’d have two pet therapy dogs with us to help break the tension. I love this book. Of course I like all my books but I think because this is the last in the series I have a special appreciation for it. I call it my Indiana Jones novel. It’s based in part on the legend of the Holy Lance, the lance that the Roman soldier used to pierce the side of Christ to be certain he was dead. The Bible doesn’t go into detail about this but it’s been very interesting to research and see why there is so much interest and speculation about this lance. Today, to the best of my knowledge based on extensive research, Austria, The Vatican, and Armenia believe they have pieces of the original Lance of Longinus or The Spear of Destiny as it is also known. Hitler was obsessed with the lance and there are thoughts that it resides in Antarctica. The novel centers on the youngest of Lord Ravensmoore sisters, Mercy who wants to be a doctor like her big brother, but in the time of the regency that is an impossibility, or is it? She meets Vincent St. Lyons who is returning from a secret quest for the Prince Regent. Unfortunately for Mercy she’s washed up on the shore of Northumberland. I accidentally discovered history about The Spear of Destiny when I was watching Brad Meltzer’s “Decoded” program on The History Channel. I wanted to learn more about what was being discussed. What was true and how much of this was legend and why. And then close to the same time I saw Noah Wyle playing in an episode of, The Librarian, called, “Quest for the Spear.” So I decided to write my own story and Mystery of the Heart is that story. 2) Pursue the passions and gifts that God has bestowed on you. 3) Don’t take anything at face value. Explore legend and history and compare it with the Word for the sake of Truth. I really can’t choose a favorite. As a creative I think our characters are all a little piece of us. They come from our minds, good and bad. I love exploring character and discovering why each does what he or she does. Same as above. Even the difficult characters or villains allow me to grow and explore. I love the unloveable characters I create. A proposal for another regency book and possible series. I want to go to Australia with my hubby and enjoy a wonderful vacation and I’d love to live in the lake district of England for a month with my entire family. I’m wondering why this is such a hard question for me to answer. I’m sure there must be many silly things. I remember trying out for a play once in 7th grade and making an utter fool of myself. I do not have the acting or singing gene and I certainly didn’t have it back then. I don’t even know where I got the guts to attempt such a thing. Raising a special needs child. 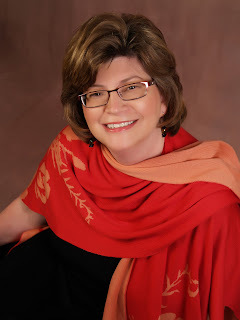 I also write and coordinate The Well Writer column for the Christian Fiction Online Magazine. http://www.christianfictiononlinemagazine.com/ Click on the Brilliant tab. Bonnie Calhoun has a great sense of humor. Just an encouragement for anyone reading this, published or unpublished. Dream big! God wants good stuff for you. Thanks for having me. Jillian is giving away an entire set of her Ravensmoore series. It includes Secrets of the Heart, Chameleon, and Mystery of the Heart! Just leave a comment, along with your contact information, and Monday we'll pick a winner! Good Morning from sunny South Carolina. Lynette Eason is here and it's finally stopped raining! So as I sit and look out over my back yard, I’m thinking about a new project. Of course I have a book due March 1, but that doesn’t stop my little brain from spinning with new ideas and excitement over this particular new project. Here’s the latest: Co-authoring a novel. Recently another published author and I have started working on a little project. It’s sort of an experiment for both of us. Neither one of us has ever done this before so we’re kind of learning as we go. We’ve decided to co-write a story together. (Is that redundant? Using co-write and together in the same sentence?? Sorry, no time to look that up.) Anyway, we’re working on a story that we hope will turn into a series, but our goal is to work on the first story and see how it goes. So far, we’ve come up with character sketches, our character’s goals, motivations and some conflict and some plot elements. I find myself thinking about that story quite a bit. It’s my fun story, my stress reliever when I need to take my focus off the contracted one I’m currently working on. Without a contract on the fun story, there’s no pressure and no deadlines, except maybe self-imposed ones. 1. Respect each other’s talent and time. 2. Co-writing is cool because you can bounce ideas off each other. One idea fuels another and soon you have some really great material to work with. 4. Everyone who writes has their own voice, but with co-writing, the voices can blend to make a unique voice that tells a page-turner of a story. 5. Realize that the story is the work of BOTH of you. Be open to suggested changes. Your partner, too, wants the best story the two of you can create! As of today, I’ve finished the first scene of the story. I’m excited to hear what my co-author thinks about it. I look forward to her ideas on how to make the scene better. And I’m rubbing my hands in anticipation of the scene she will soon write. Stay tuned as this new adventure in co-authoring progresses. I’ll keep you updated! 1. Start your story as close to the crime as possible. There is nothing like a body dropping to get a reader’s attention. This is what I call the shoot-first-and-answer-questions-later policy. Background and establishing character relationships can happen in later chapters. Most good novels pose a question in the early chapters of the book that carries through the whole book, for mysteries the question that is asked is who-dun-it. Assuming that the crime is a murder, that question cannot be asked until someone dies. If the needs of the story make it impossible to start with the crime, there should be at least the threat of a crime or the early stages of someone setting up a crime in the first chapter. My first Bargain Hunter mystery Death of a Garage Sale Newbie begins with a woman leaving a cryptic message on her friend’s answering machine where she says she has discovered something dangerous from the past and that she is afraid. In later chapters, the woman who made the phone call disappears and is ultimately found murdered. 2. To create false suspects, give every important character a secret. Part of writing a good mystery involves people doing suspicious things even if they didn’t commit the murder. A secret can be something as small as a character who has a crush on someone or has been writing a novel on company time. Or the secret can be something bigger like a character who doesn’t want people to know they have done time in prison or is having an affair. Characters who have something to hide will do things that make them appear to be guilty thus creating the red herrings that a good mystery usually has. 3. Plot twists often rise out the greater crime and the lesser crime. As with all good novels, a twist at the end of a mystery makes for good story structure. Usually, a plot thread leads the reader to believe that a certain character is guilty. At the end of the book, that character may even be arrested. The twist comes when a different character turns out to be the culprit. In order to play fair with the reader, it may be that the character first presumed to be the guilty party has been committing a lesser crime like embezzling or maybe they have been helping or covering for the real murderer, anything that makes them look guilty. The important thing in creating the twist is to lay the ground work so that when the real killer is caught, the reader hits their forehead with the heel of their hand and says, “I should have seen that.” One of the tricks I use in creating the plot twist is to write the rough draft of the novel as though Suspect A is guilty. In the rewrite, I will look back through to see which other character had the means, motive, and opportunity to commit the crime, or with some revision could have had the means, motive and opportunity. In the rewrite, that Suspect B becomes the guilty party. 4. Remember the rule of three. 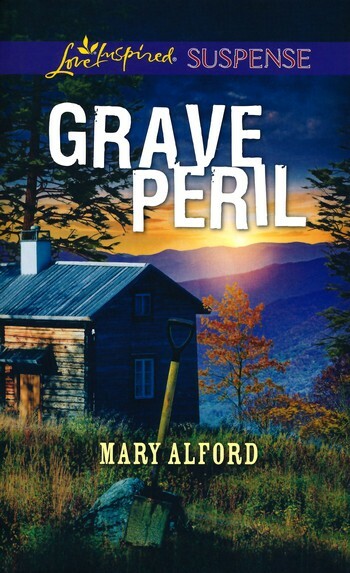 Mystery readers are used to picking up on buried clues, but they don’t like to feel like something was so buried there was no way they could have noticed it. At the same time, flashing neon signs that says This is a Clue is an insult to the reader’s intelligence. If a clue is going to become the thing that breaks the case or moves the mystery forward significantly, bring it up in the story at least three times, preferably in different ways, maybe once in dialogue and another time through description. The best clues are the ones that seem innocent and benign at the time and don’t take on significance until other parts of the mystery fall into place. 5. A sleuth who has a personal stake in solving the crime makes for a more compelling story. 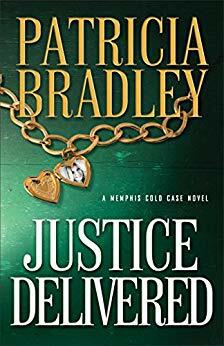 While police detectives and private investigators are motivated to solve a crime because their paycheck depends on it, giving a sleuth a stronger reason to find the murderer creates more story tension. When a female detective is called in to investigate a murder in a girl’s dorm, you have created an interesting premise. When the detective’s sister was recently the victim of an assault in that same dorm, you have created a compelling premise. For an amateur sleuth, having a personal stake is almost a necessity. In my first Bargain Hunters mystery, the personal stake for the head Bargain Hunter Ginger was that her best friend is murdered and the police are willing to write it off as an accident. In book two in that series, Death of a Six Foot Teddy Bear, Ginger is a suspect in the crime. 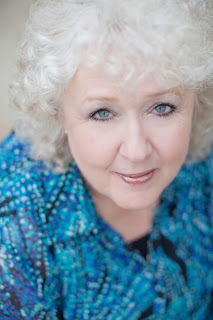 In Sue Grafton’s T is for Trespass find P.I. 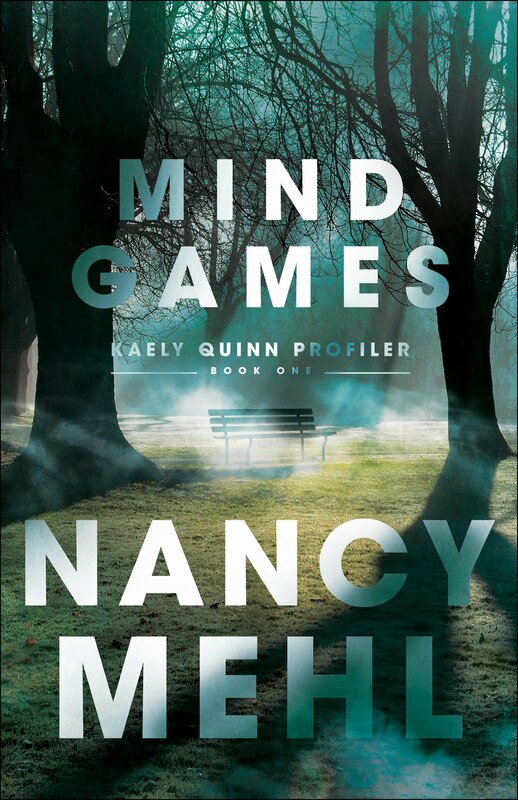 Kinsey Millhone find herself solving an identity theft case because her neighbor is one of the affected victims. We're so excited to have Irene Hannon with us today. Welcome Irene! She is the bestselling author of more than 40 novels. 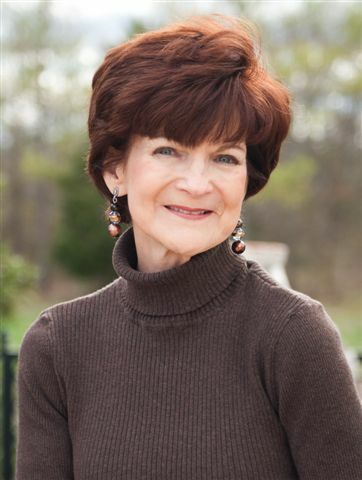 Her books have been honored with two RITA awards, a National Readers’ Choice Award, a Carol Award, a HOLT Medallion, a Retailers Choice Award, a Daphne du Maurier Award and two Reviewers’ Choice Awards from RT Book Reviews magazine. 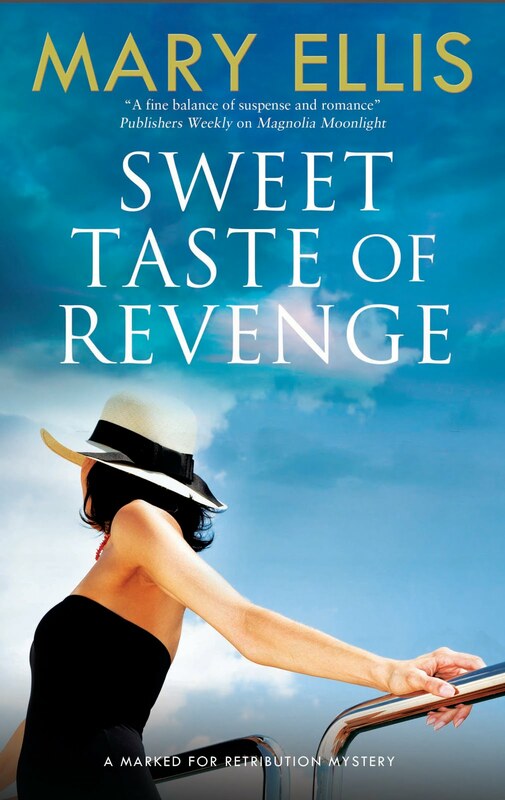 Booklist also named one of her novels a “Top 10 Inspirational Fiction” title for 2011. 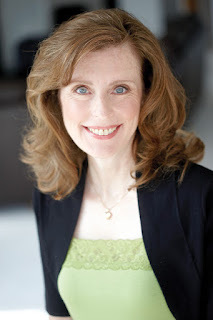 Her January suspense book, Vanished, debuted on numerous bestseller lists, including Publishers Weekly. 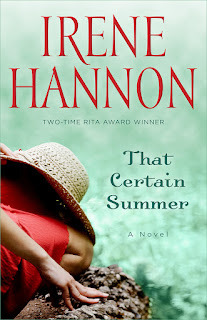 Her first long contemporary romance, That Certain Summer, will be released in June. SS:How long have you been writing? For as long as I can remember! But I like to tell people I made my professional debut at the age of 10, when I was one of the honorees in a complete-the-story contest sponsored by a national children’s magazine. SS: Do you write full time? If you are a full time author, what other jobs did you have in the past? For the past 9 years, I’ve been a full-time novelist. Prior to that, I worked in corporate communications for a Fortune 500 company. When I left, I was a senior group director, managing three different communications-related departments. It was an amazing career! That’s the only other job I’ve had, except for working part-time in a library during my high school and college years. What a perfect job for someone who loves to read! I’m still waiting for it! Seriously, it’s hard to feel as if you’ve ever “arrived,” because there’s always so much still to learn. But I guess selling my first book and winning my first RITA award came as close as anything to convincing me that maybe I do have some writing talent. Prior to my marriage, my parents. Now my husband is part of that cheering section, too. Of course, I was already published when I met him, so I’d have to say I owe my parents an extra debt of gratitude because they believed in me long before I ever sold. Their support went a long way toward keeping discouragement at bay in those early days of rejection after rejection. 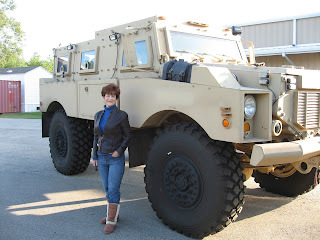 I write both romantic suspense and contemporary romance. 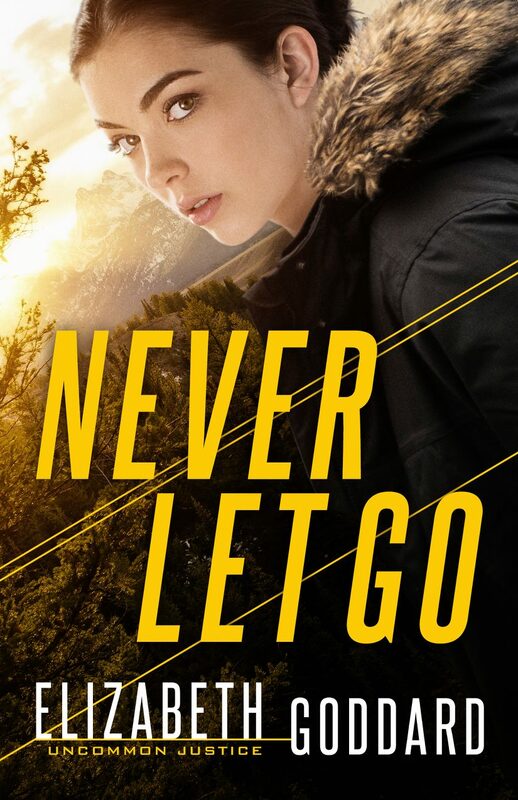 I’ve been a huge fan of romantic suspense since my Nancy Drew days, and to be honest, the first book I wrote was a romantic suspense novella. However, it was really, really, really bad! I consigned it to the deepest, darkest corner of my closet where it shall forever remain. Aside from the fact my writing needed time to mature, I just didn’t have the kind of sources a suspense writer needs to create a credible story. This was in the pre-internet dark ages, mind you. So I switched to contemporary romance, which typically requires less intense technical research. When I left my corporate career and had more time to write, though, I got the urge to try suspense again. This time I had the internet, plus a great contact in law enforcement who hooked me up with other amazing sources. The rest is history! I write from a Christian worldview, so it colors all of my writing in an organic way. But typically it’s lived more than spoken about—which is how I live my own life. Readers see characters making decisions and choices based on the principles of their faith. I do love to sing and perform, so I’d do more of that if I wasn’t writing. I also love to travel. And I’ve always been tempted by the idea of operating a tea room or running a B&B. All that said, I’d surely find something to do if I wasn’t writing, but I honestly can’t imagine word craft not being part of my life. Vanished is Book 1 in my new Private Justice series, which features three ex-law enforcement operatives (police detective, undercover ATF agent and Secret Service agent) who join forces to form a private investigation company. 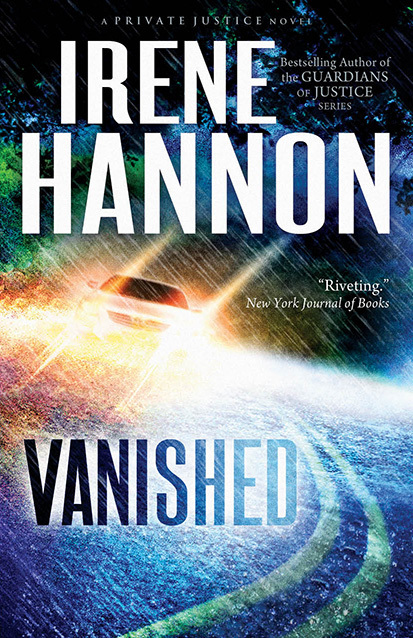 In Vanished, reporter Moira Harrison is new on the job in St. Louis, but she’s no rookie to investigative reporting. She knows how to dig for answers and get results. But when she hits a pedestrian on a rainy night in a wooded area—only to have both the victim and the good Samaritan who stopped to assist disappear—she turns to P.I. Cal Burke, an ex-homicide detective, to help her sort out the puzzle. Cal is more than a little skeptical of her story, especially since the police have dismissed it. But as clues begin to surface, bringing them closer to answers, the danger mounts. 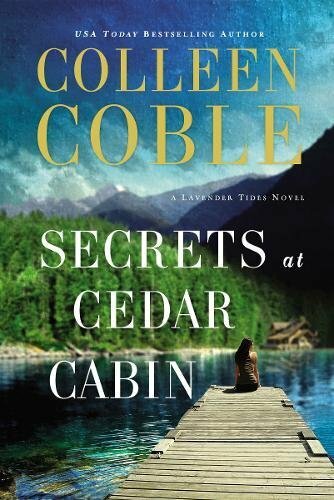 Because someone doesn’t want this mystery solved—and will stop at nothing to protect a shocking secret that will destroy a life built on lies. For this one, I remember the exact moment inspiration struck—which is unusual. I was driving home from church one night, when all at once a bicyclist appeared in my headlights. I swerved to avoid him—then started what-iffing. What if a woman was driving on a country road at night in a rainstorm, and her headlights picked up a figure with terrified eyes standing in the middle of the road? What if she tried to avoid the figure, spun out of control—but heard a solid thump that told her she’d hit this person? What if, while dazed, a hooded figure appeared at her window, said he’d seen the accident, and told her to stay in her car while he checked on the person she’d hit and called 911? What if she zoned out, then came to an hour later to find no Good Samaritan…no 911…no sign of the person she’d hit? What if the police dismissed her claims for lack of evidence and she was forced to turn to a PI for help? That incident with the bicyclist, which lasted mere seconds, inspired not only Vanished, but the whole Private Justice series. That the ends don’t necessarily justify the means, no matter how well intentioned. I also hope readers come away with a better understanding of the tremendous power of love—both human and divine—to transform lives. That’s like asking a mother to pick her favorite child! I love all my characters, from my strong hero and spunky heroine and quirky office manager to my hero’s two interesting (and swoon-worthy) PI partners. I also really like my villain who is very, very complex. Truly a study in contradictions. He was fascinating to write. SS: Who is your least favorite character in this book? No least favorite character. I loved getting to know all of them. Book 2 in the Private Justice series—Trapped—is in editing right now, so I’ll be seeing a mark-up copy soon. 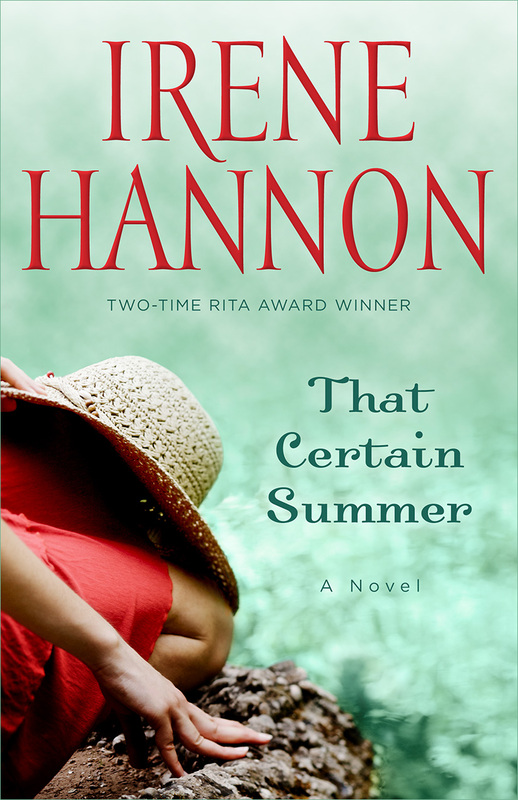 And I just finished proofing the final galleys for my first long contemporary romance, That Certain Summer, which will be out in June. There’s no life-and-death suspense in that one, but plenty of drama! 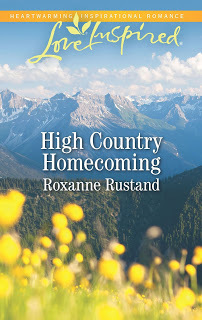 It’s a story about two estranged sisters, an unexpected homecoming and a grace-filled summer of hope and healing. Readers of Karen Kingsbury and Debbie Macomber will enjoy it, I think. I have been very, very blessed to do most of the things on my bucket list, from riding a camel in Egypt and hot-air ballooning over the Grand Tetons to singing the leading role in community musical theater productions. But my greatest joy is spending time with the people I love. The silly gene passed me by. Seriously. I’m the oldest child—the responsible, focused, high-achiever. I have lots of fun, but silly never appealed to me. Auditioning for the first musical I was in as an adult. I’d always loved theater and took dance lessons for years, but my secret goal was to sing. So in college I signed up for voice lessons. After a year, I worked up the courage to audition for a community theater musical. I was in the chorus of that show—and many subsequent shows—until I paid my dues and inched my way up to leading roles. I still do theater when time permits. But taking the plunge at that first audition…wow. That was hard—and scary. SS. : Where can readers find you on the internet? On my website (www.irenehannon.com), Twitter and Facebook, (http://www.facebook.com/pages/Irene-Hannon/426433004084567). I’m new on Facebook, but loving the interaction with readers. Please visit me at any of these places—I always respond! SS. : Anything else you’d like to tell or share with us? First, I’d like to say thank you to all the readers who’ve given my books a try. Without you, I’d never have reached this stage of my career. Second, I’m excited to share that Vanished was named one of the best new books in January—and a top-ten romance release—by Amazon. In addition, it’s currently on numerous bestseller lists, including Publishers Weekly. Can you tell I’m excited! What a GREAT interview, Irene! Thank you so much for joining us. I enjoyed learning more about you, and look forward to reading Vanished as well as your new contemporary romance.